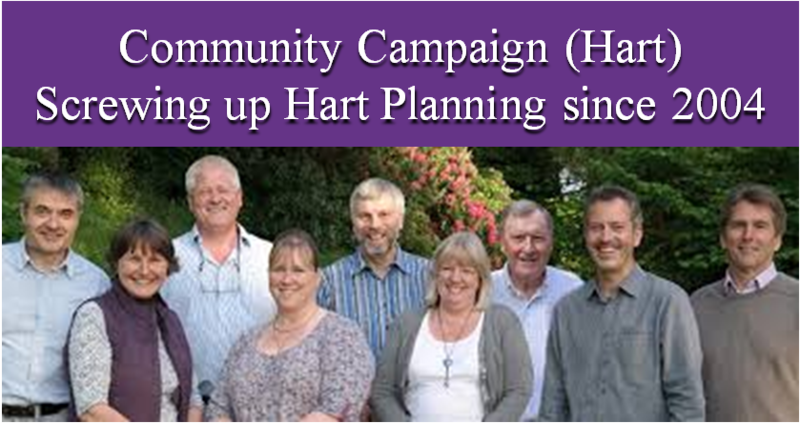 Hart Local Plan: Green fields or fictitious jobs? 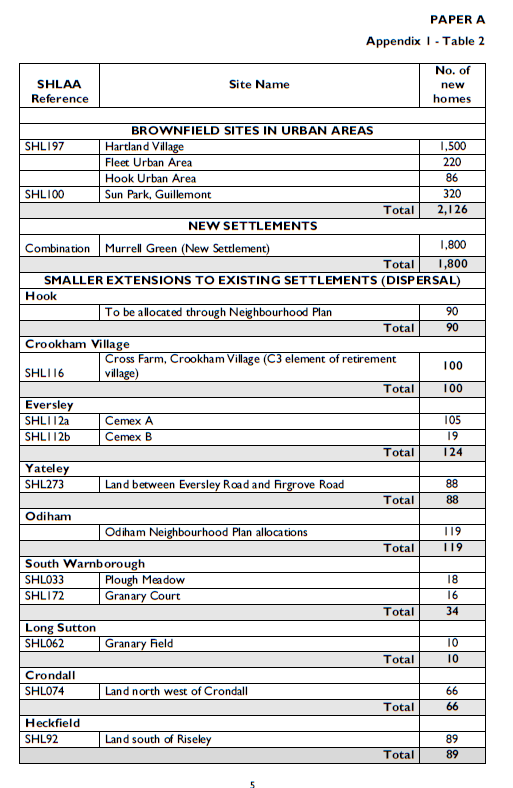 It is now becoming clear that the forthcoming Hart Local Plan will present us with a choice of concreting our green fields versus building houses for people who live elsewhere and many of them will work outside the district. 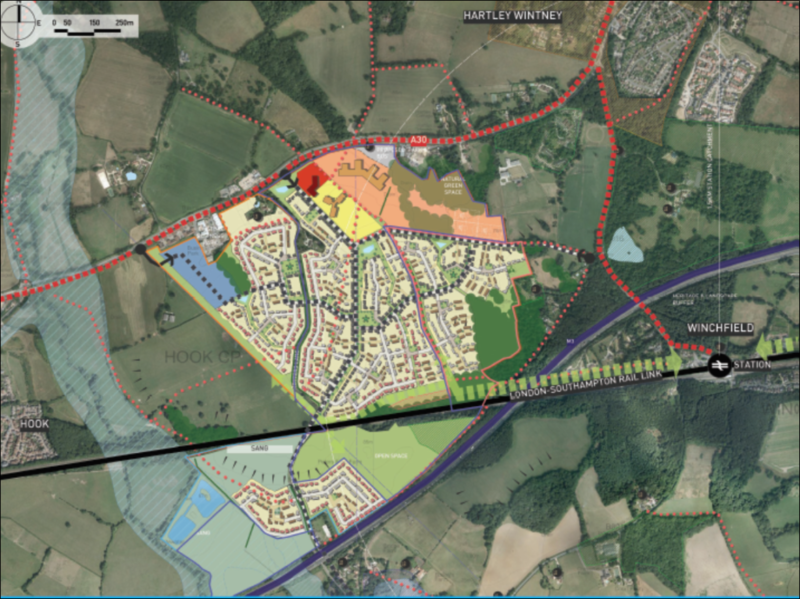 The National Planning Policy Guidance (NPPG) does not require Hart Local Plan to accommodate extra housing if jobs forecasts are in excess of forecast workforce changes in the area. That all of the alleged extra jobs will have to be filled by people coming from outside the district, and many of them will work outside the district. This will have a big impact on local infrastructure, particularly roads, rail, schools and healthcare facilities. 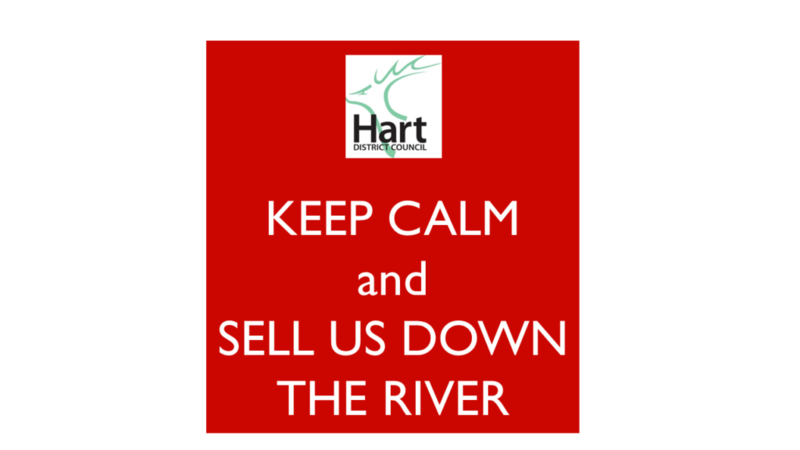 This is clearly a ridiculous position, and Hart District Council should follow the advice of Peter Village QC, and consult on the level of employment we wish the Hart Local Plan to accommodate and offer us the choice of planning 900 extra jobs per annum to protect our green fields. 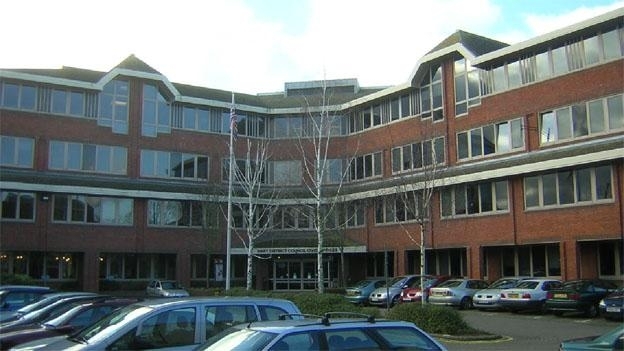 We think there would be overwhelming support for Option A, and we would still be planning for 250 extra jobs per annum than the demographics would suggest, so meeting the requirement for positive development. We set out our analysis below. What does the NPPG say we must do? 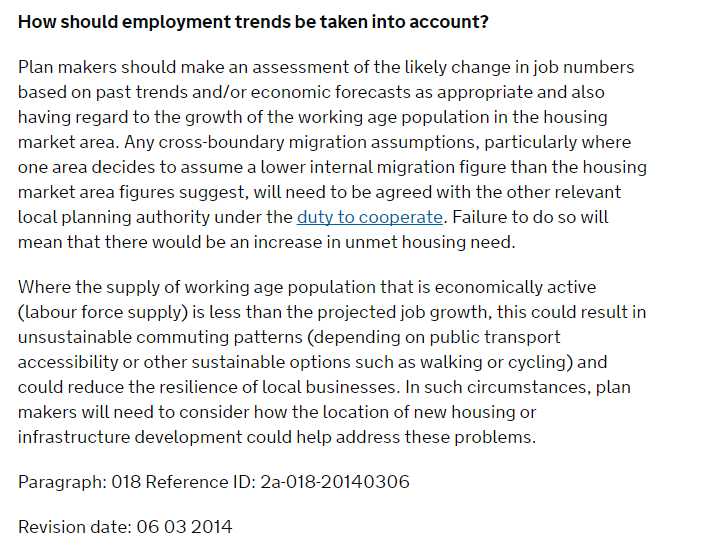 As can be seen below, the NPPG simply asks that plan makers ‘consider’ what they should do if the jobs forecasts are in excess of the forecasts for working age population. 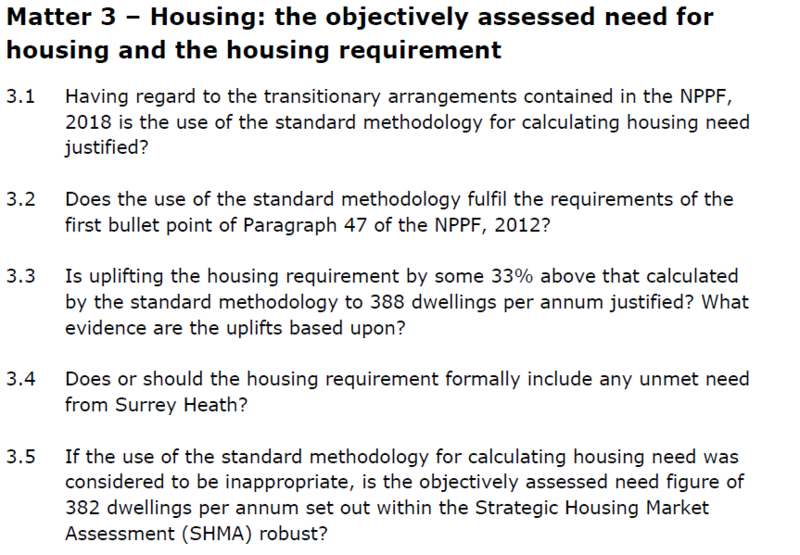 In particular, it asks for both housing and infrastructure to be considered. 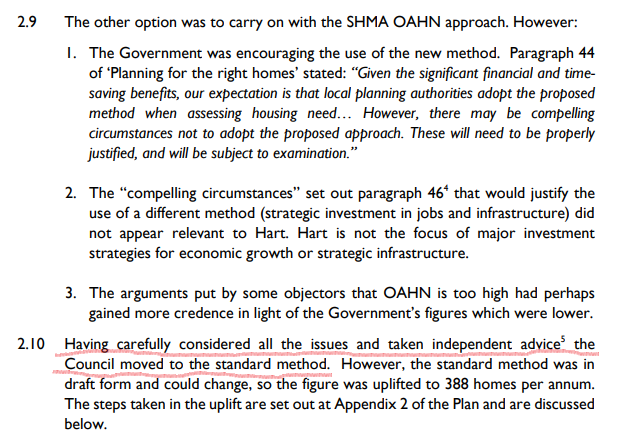 Indeed the SHMA itself says that the NPPG does not require plan makers to make any uplift in housing numbers at all. 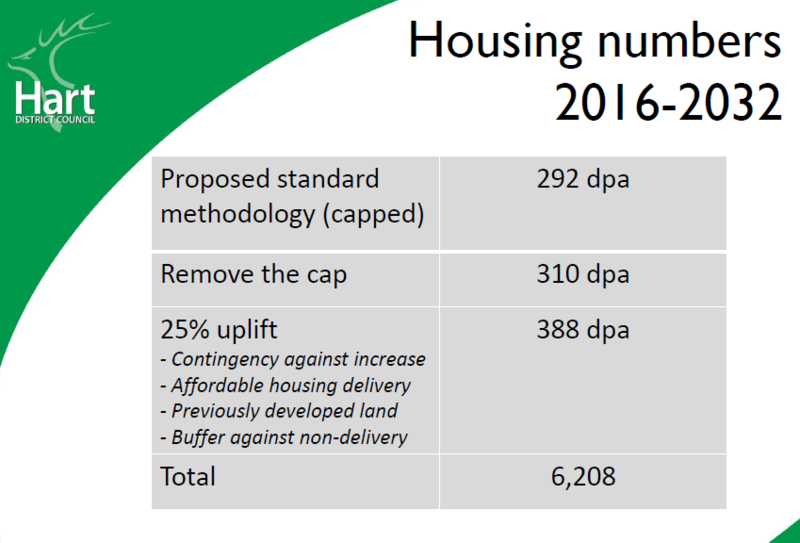 So, whilst the impact on housing and infrastructure should be considered there is no requirement to to actually increase the housing numbers. What do the jobs forecasts say? There is a wide range of jobs forecasts ranging from 910 pa (Experian), through 950 pa (Cambridge Econometrics) to the extreme forecast of Oxford Economics at 1,480 per annum. The SHMA calls for us to plan for 1,200 extra jobs per annum which is closer to the extreme high end of the Oxford economics forecast. 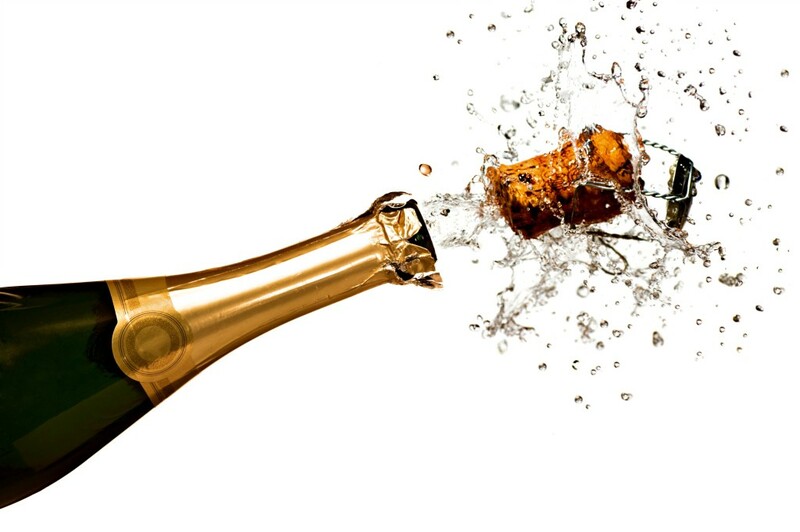 What does the SHMA say about the Employment Forecasts? The SHMA says that there is genuine uncertainty about the scale of jobs growth that might be expected and the forecasts are widely spread and divergent. 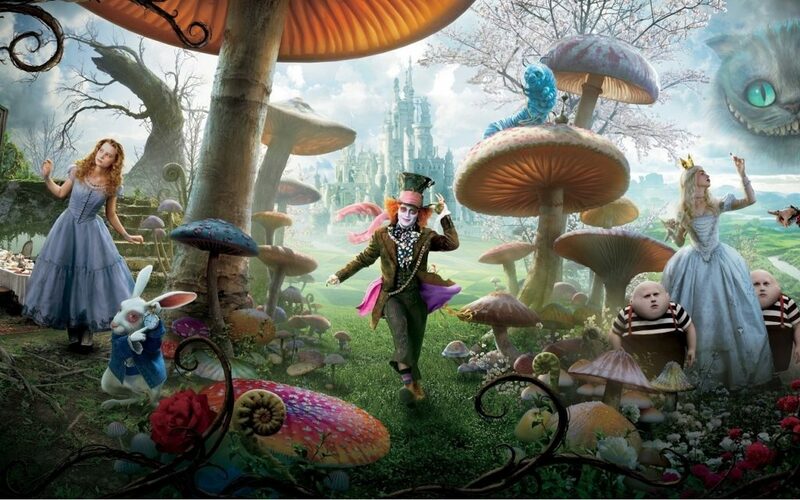 Where would the people come from and where would they work? 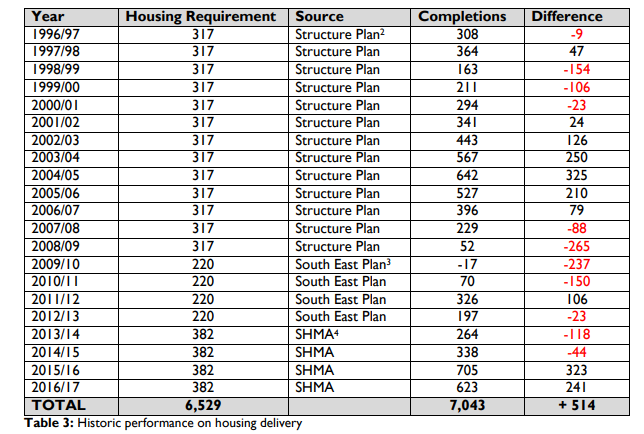 If other local authorities are following NPPG, they should already be planning housing for these people. 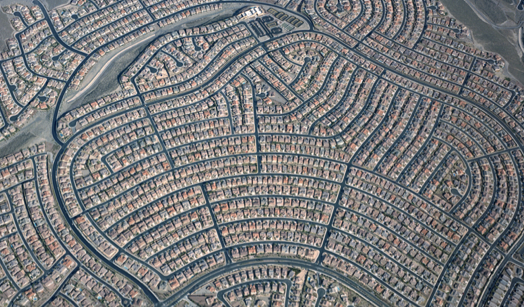 Indeed we have found that many planning authorities are planning for an average of 42% more housing than demographic trends would suggest they need. But it gets worse, in that the SHMA would lead to many of these inward migrants working outside the district, putting unsustainable strains on the transport network. 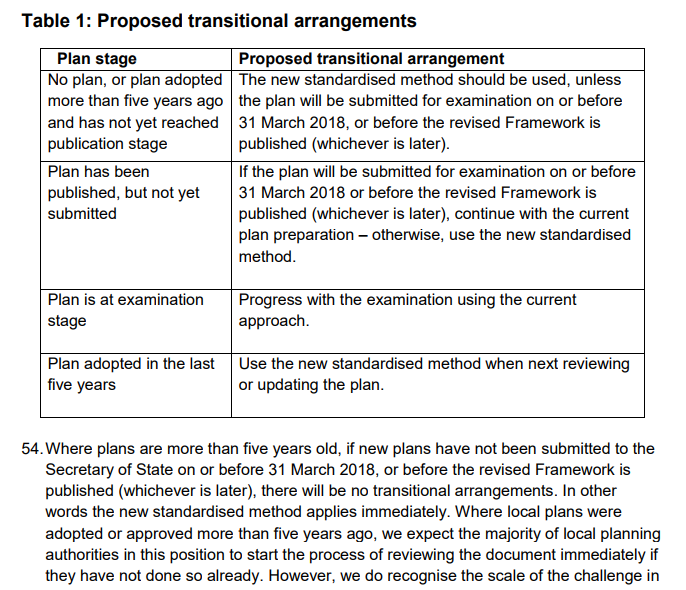 We already know the rail network is forecast to be running well over planned capacity with no real plan to fix it. 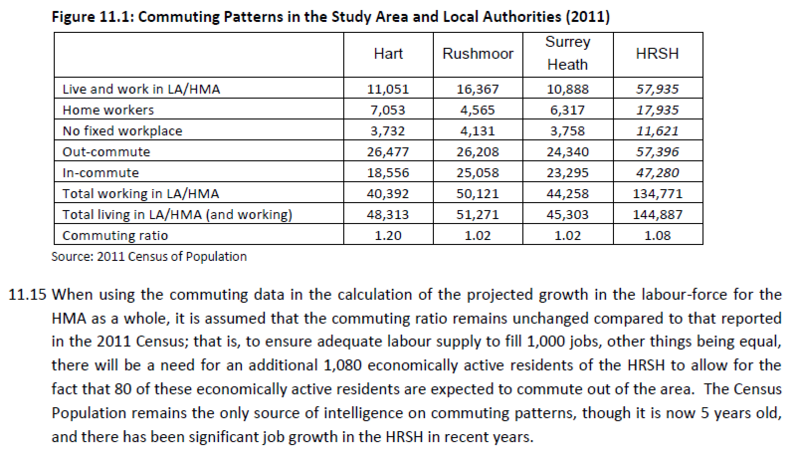 Currently, more than half of Hart’s working population work outside the district and 40% of the HMA’s working population work outside the HMA. 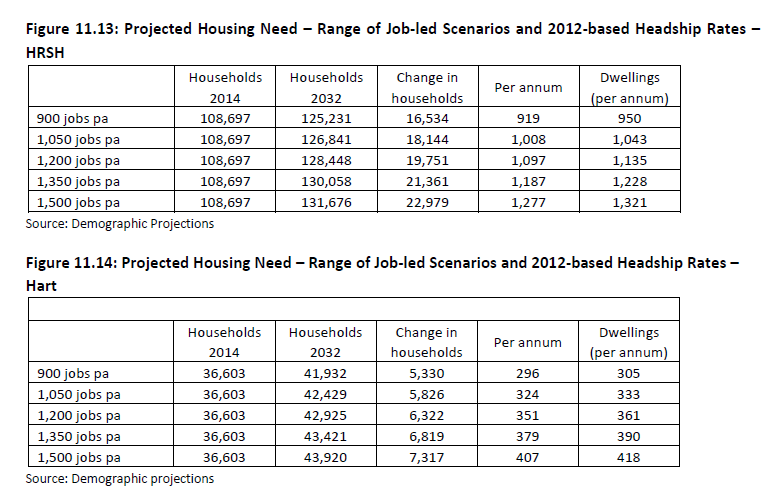 If we planned for closer to 900 extra jobs per annum, we would need 950 houses per annum in the HMA. 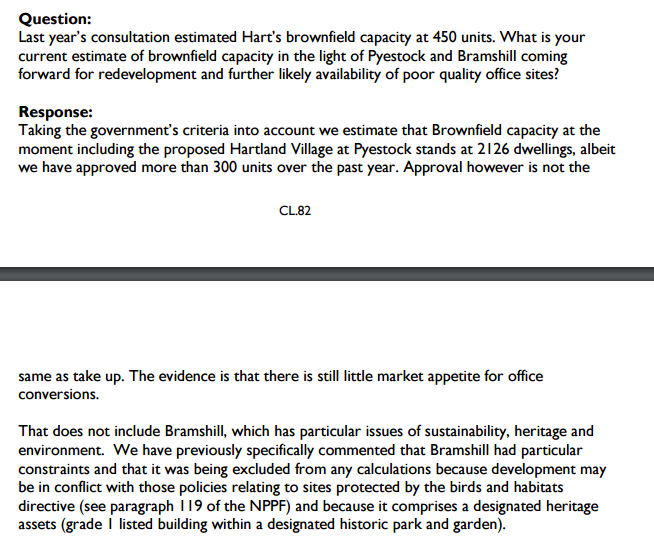 Hart would need 305 per annum, leading to an overall housing requirement of 6,405 which would mean we wouldn’t need any more green field sites. 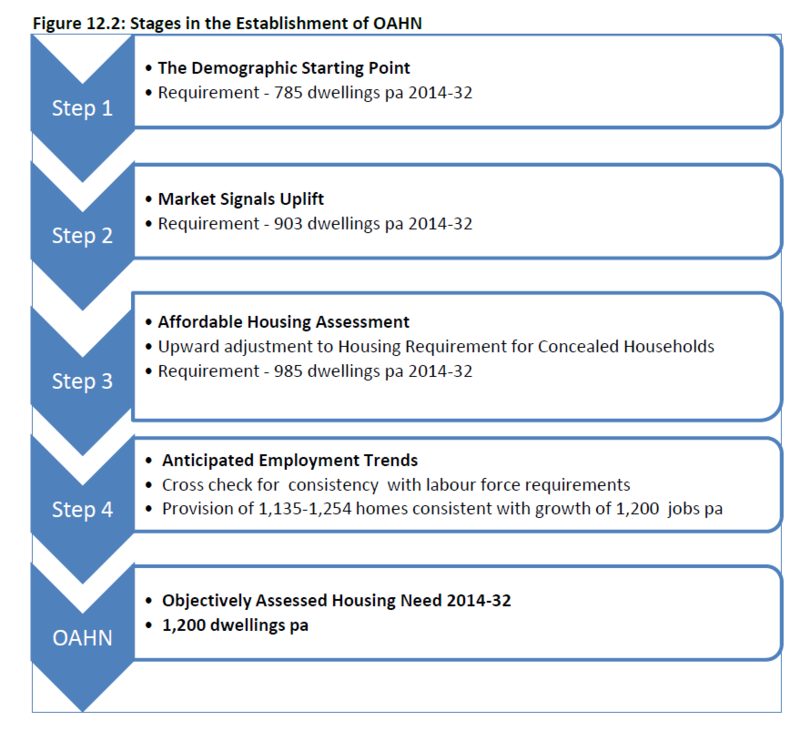 Taking account of market signals, the housing requirement for the HMA would be around 1,050 per annum. 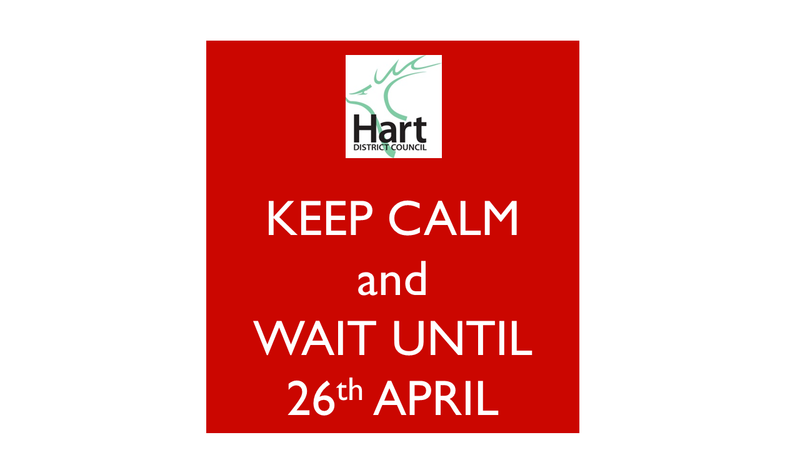 This would lead to Hart’s overall need being around 7,000. 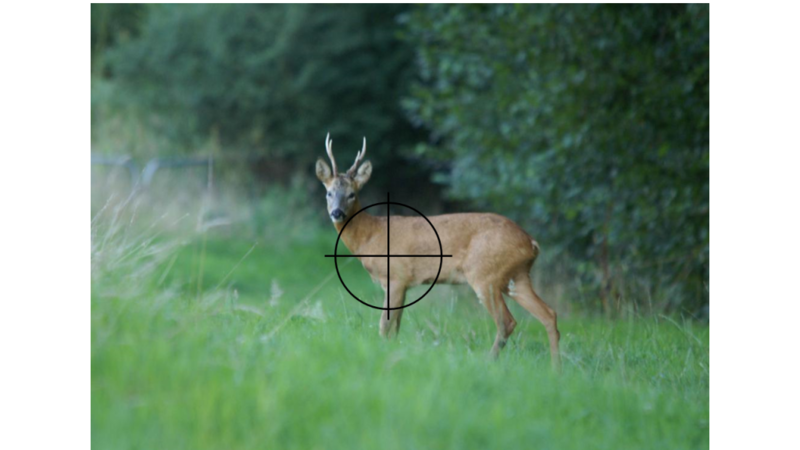 Again, we wouldn’t need any more green field sites to meet this requirement. What does the SHMA say about economic growth? The SHMA says it would be more desirable to achieve economic growth through productivity enhancements and it would be a more sustainable solution. So, why don’t we go for a more sustainable solution and plan for 900 extra jobs per annum?